Use only high quality gold plated cables for connections. Only such cables are well enough shielded to prohibit the intrusion of noise into the cable (aft-cable) or the transmission of	noise in the surrounding (serial cable). Also the connecting resistance is low enough not to produce reflections or noise. Use an effective low pass filter (fo < 30 kHz) between the af output of the receiver and	the input of the soundcard. Pay attention to the grounding of your system: if you are using different earth systems for	receiver and computer, the connections between these both should be galvanically insulated. 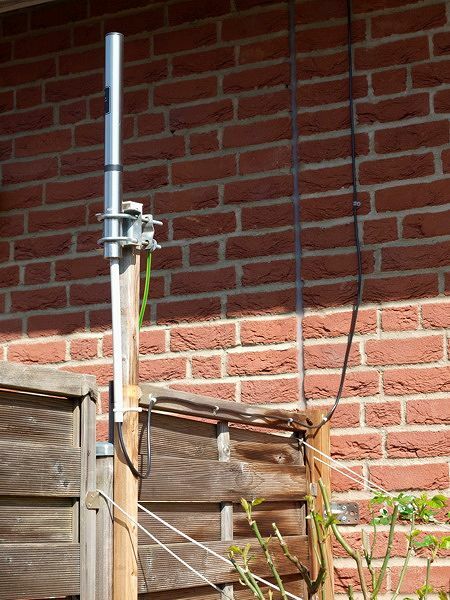 There are two antennas in use: Outdoors the active antenna DX-500 from RF-Systems with its own earth system, which is different from the ground the computer is connected to. 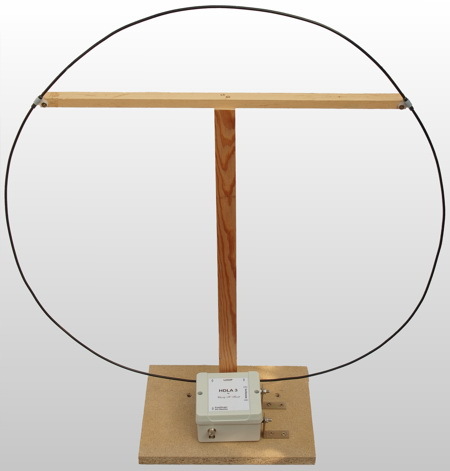 Indoors a broad band magnetic loop antenna of 0.6 m diameter, feeding a HDLA-3 amplifier build from Charly Hardt. Galvanic insulation of the serial connection (A) is achieved by means of an optocoupler (Gude USB-RS232 OptoBridge). The galvanic insulation of the af connection (B) is build by means of an af-transformer. If it is intended to use the detector output of the AR5000 an additional amplifier is needed to drive the af-transformer (Conrad 5W af amplifier). Capacitors should be soldered parallel to the input / output of the af-transformer to build a low pass filter. In my setup I use a 30 ohms : 30 ohms af transformer connected to the earphone jacket of the AR5000. The rf noise generator (QRPprojekt PWRRgen) is not necessary for the normal operation of the system. I use it for measuring purposes (e.g. if-bandwidth, spectral responsivity of the AR5000).